Make your time count in the kitchen with our classic white Baker's shirt. Designed with maximum return in mind, this shirt includes our stain release fabric for wash and wear sensibility. 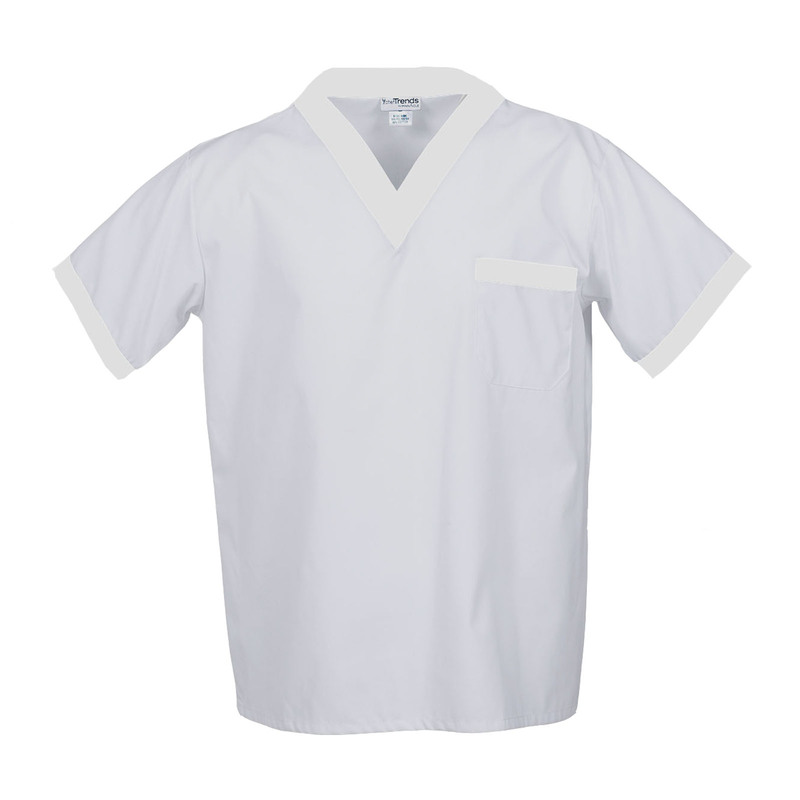 Stocked in white, the contrasting trim at the V-neck, pocket and sleeve is available through our Kwik Kustom program.